Photo courtesy of Bottle Barn. Bottle Barn isn’t easy to find. The store is located in an industrial zone of Santa Rosa, California, near a bathroom design center and a furniture outlet. It would be easy to drive right by—the building is unassuming, and there’s only a small sign on the road. From its exterior, there’s no way to know that Bottle Barn is one of Northern California’s top bottle shops. But inside, in a 15,000-square-foot sprawl of warehouse shelves, customers regularly spend hours discovering new and unusual labels. The inventory includes what general manager Jason Schneider thinks may be the largest selection of Sonoma wines in the country, as well as a broad international collection, showcasing everything from Grüner Veltiners to Riojas. “We have regulars browsing around as if it were a library,” says Schneider, who has worked at Bottle Barn since 1997. He equates it with the experiences he had as a kid in big record shops, where he could spend hours and barely get through the A-list records. Markups at the store average 20 percent over wholesale prices, which is pretty unheard of, Schneider notes, in a market where a third is a bare minimum and some shops hit the 50 percent mark. That same pricing is applied across the board, regardless of the wine price, unless a producer insists on a minimum sale price. 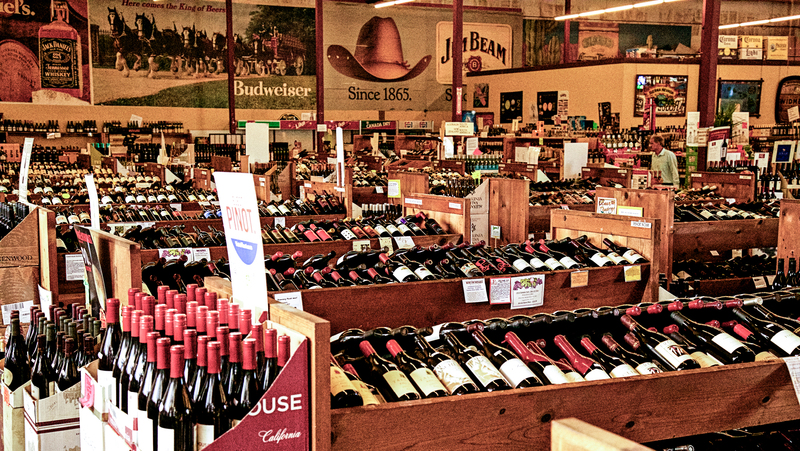 Schneider estimates that Bottle Barn sells 40,000 cases of wine per year and that 85 to 90 percent of the store’s business comes from local customers. 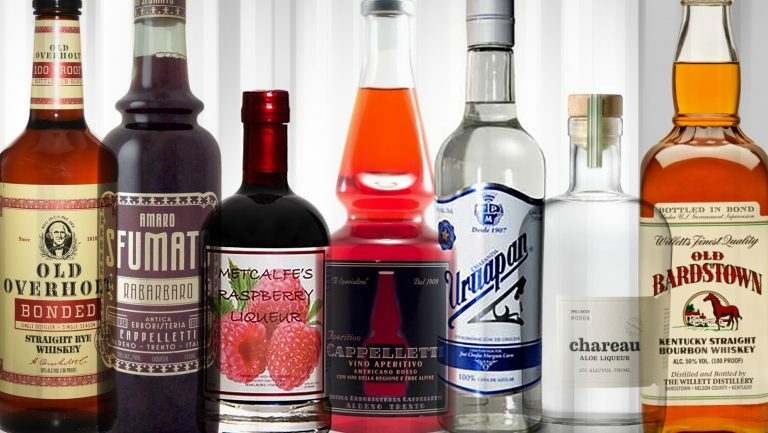 Wine accounts for approximately 60 percent of Bottle Barn’s sales, spirits for 30 percent, and beer and a sprinkling of accessories for the remainder. 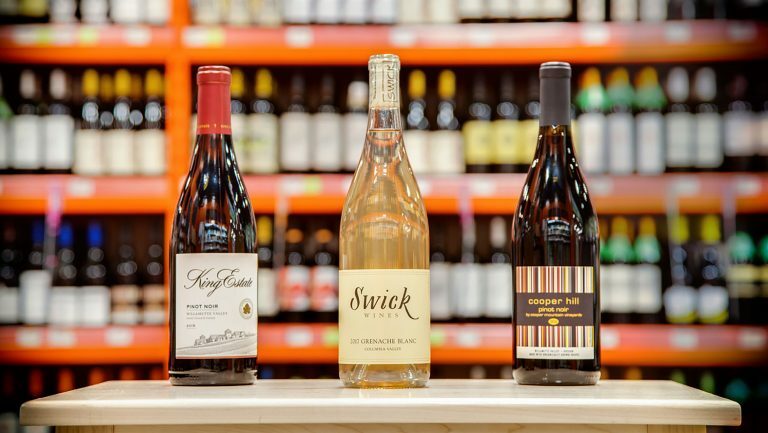 Domestic wines make up about 70 percent of the store’s wine inventory (95 percent of that from California). However, imported wines are on the rise. “Imports [have grown] steadily since 2000,” Schneider says. These wines now account for 30 percent of the selection, up from 25 percent a decade ago. Initially, the giant store had little local competition, but Costco and BevMo! arrived on the scene in the late 1980s to mid 1990s and are only a few miles away. The big-box retailers haven’t significantly affected sales though, Schneider says, noting that BevMo! tends to price with higher margins and Costco has less of a focus on customer service. 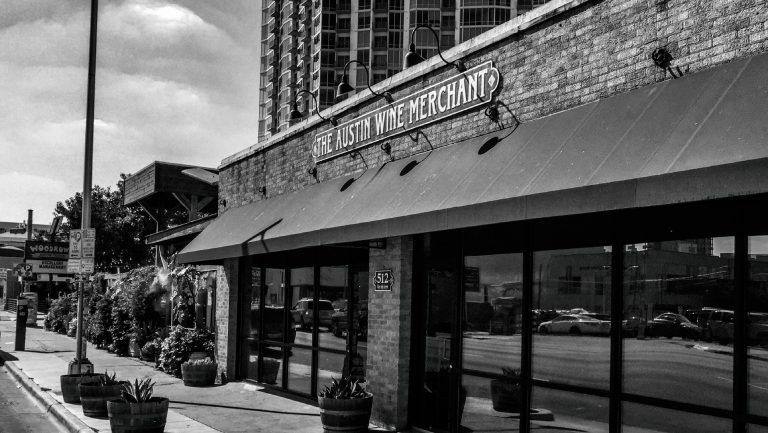 When Ben Pearson joined the team as wine director in the mid-1990s, he “turned it into a fine-wine ship,” Schneider says. Pearson passed away in 2016 and was replaced by industry veteran Barry Herbst, a longtime wine competition judge who had worked at Bounty Hunter Rare Wine & Spirits, the iconic Napa wine bar and store. Schneider says he moved into Pearson’s role quickly and seamlessly. In 2014 the Emmonses sold Bottle Barn to Sajive and Tina Jain, who are based in Tiburon, California. The Jains operate a number of businesses—including producing high-end paintbrushes—in India. Like the Emmonses, Schneider says, they didn’t have experience in the wine business before they bought Bottle Barn. Yet the business has shown solid growth since the ownership change, growing to $11.6 million in sales in 2016, up from $10 million in 2014. Despite the changes in ownership and management over the past two years, the store and its staff has maintained focus. Every senior employee stayed on through the sale and after Pearson’s death. If anything, Schneider says, the team is more cohesive and better organized than ever before. Bottle Barn takes phone and email orders and ships in and out of state as legal restrictions allow. But the store has not yet moved into e-commerce. “We are not selling online at all,” Schneider says. To further expand revenue possibilities, Bottle Barn is considering launching a regular newsletter and developing an e-commerce sales site. It is also exploring third-party delivery applications, such as Drizly, which have yet to come to the mostly rural Sonoma County. While Bottle Barn was unharmed during the Sonoma fires in October, the shop is sandwiched between two of the Santa Rosa communities that were most damaged: Coffey Park and Fountaingrove. The tragic losses have strengthened the shop’s commitment to local fund-raising, Schneider says. 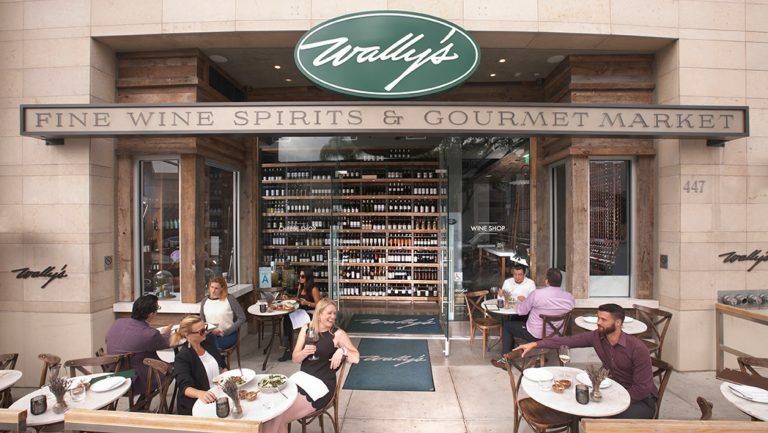 The store can’t legally donate wine, but it does sponsor events and donate accessories—like stemware and bar tools. In total, Bottle Barn’s donations represent 1 to 2 percent of its profits, which have benefited nonprofit organizations such as Redwood Empire Food Bank, the Fire Fund, North Bay Fire Relief, Meals on Wheels, and the Council on Aging. 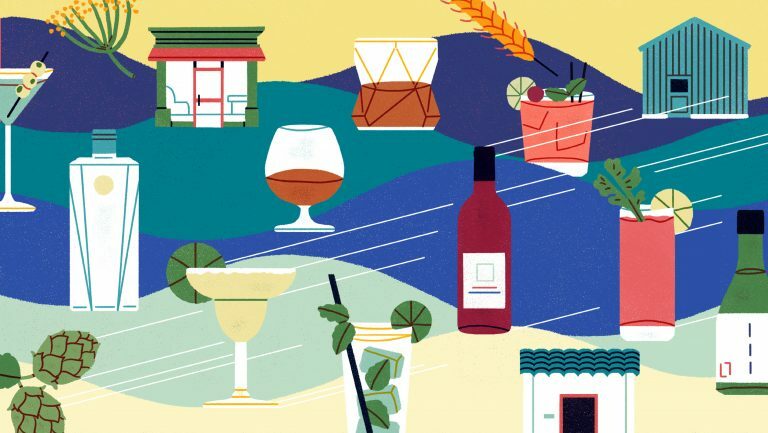 Bottle Barn’s legacy can perhaps be best characterized as a commitment to support the home team while exposing them to the best of what’s across the pond. Liza B. Zimmerman has been writing, educating, and consulting about wine and food for more than two decades. She is principal of the San Francisco–based Liza the Wine Chick consulting firm and regularly contributes to publications such as Wine Searcher, Wine Business Monthly, Decanter, and Wine Business International. She has also worked almost every angle of the wine and food business, from server and consultant to positions in distribution, education, and sales. She has visited all the world’s major wine-growing and spirits-producing regions—50-plus countries and counting—and holds the Diploma in Wine & Spirits (DWS). For more information see lizathewinechick.com.